Roll up, roll up, it's another generous helping of digitally-downloaded goodness from our North American Nintendo Download report! Feast your eyeballs on the following treats and start counting those virtual pennies - there's purchasing to be done. Rising Board 3D (odenis studio, $2.99) — Set in the same wacky world as Pop Island, this unique title mixes together surfing and stunt-work to create one of the most visually striking eShop games we've seen so far. Unfortunately we had mixed feelings about the gameplay, so be sure to check out our Rising Board 3D review before buying. It's your last Chance to Get Pokédex 3D, this free download will be withdrawn from the eShop on 1st October. Pokédex 3D Pro will be arriving on the 3DS eShop on 8th November to take its place for a price. 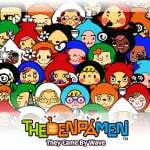 The "Denpa" Men: They Came By Wave (Genius Sonority Inc - free demo) - Mysterious little creatures called "Denpa" Men float around near radio waves. You can't see them normally, but you can find them and catch them in this dungeon RPG for Nintendo 3DS. Download the demo for now to see what you think — the full game is out on the 27th September, along with our review. Retro Pocket (UFO Interactive Games, $4.99 / 500 pts ) - Retro Pocket is a fun and exciting video game that brings you back to the glory days of LED handhelds! Watch out for our review. La-Mulana (EnjoyUp Games, 1000 Points) — This game's epic quest to WiiWare is almost as thrilling and action-packed as an Indiana Jones movie. Thankfully, there's a happy end to this tale as La-Mulana is now available in North America (and Europe) and looks better than ever. Our review is still in the works but we'd be very surprised if this turns out to be anything but amazing. If you own a Wii then there's a very good chance you'll be picking La-Mulana this week. Regardless of your choice, be sure to take a second or two to vote in our all-important poll below. People will still call this a bad week just because there are no 3DS VC games released. Obviously i will pick today La Mulana. I´m interested too in the review of Retro Pocket, i liked the video. And i will play the demo, i didn´t know anything about that game. I was expecting Harvest Moon GBC and Legend of the River King, this week, due to PS3 getting PS2 versions of each on Tuesday. Oh well, still a very good week. Denpamen demo for sure, La Mulana looks pretty solid as well. I'm buying Rising Board 3D and Sakura Samurai this week, and Denpa Men next week! Does the English version of Denpa Ningen explain what the meaning of "denpa" is, and that it's a Japanese word? Or is it just displayed as a silly video game term? I mean, of course people here look at that and know what it means right away, but denpa...its not exactly a Japanese 101 word, and of course people who don't study the language aren't going to know what it means. It'd be nice if at least in the games instructions they explain the word. Nice little learning moment. Sakura Samurai is fun and worth the couple of bucks that it costs but let me know if you ever beat the final boss, he's really tough. Finally! A worthwhile Wiiware game. Of course, I'll have to dust off my Wii and see if I have any points left for La-Mulana. After seeing a weird trailer for Denpa Men, I'm willing to give the demo a shot. Jeez! I had no idea La-Mulana was coming this fast over to the US on the same week the UK got it. That seems like the only thing worth downloading this week. Although with me, I'll wait until after I see the reviews for it. Just be glad we got something good last week like Mystical Ninja Starring Goemon from the GAME BOY. I thought the same thing about La-Mulana being for the 3DS and I nearly got flamed for it at the beginning of the week. La-Mulana looks cool, but I don't really buy downloadable stuff for the Wii anymore. I wish it had come to 3DS eShop, which judging by this week's haul could have used a good game. Yeah, the first WiiWare title in AGES that makes me wish I hadn't handed my Wii over to my mother. But I'll definitely be giving that demo a shot and likely purchasing it next week. Retro Pocket looks interesting, but I'll definitely be downloading the demo today. 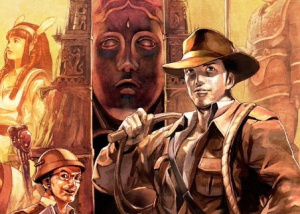 I don't know, but the more I think on La-Mulana being put out on WiiWare , the more I think that THAT game may be the FINAL game on WiiWare before the whole WiiWare service dies. 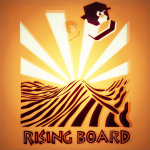 Getting rising board and maybe retro pocket if the review is good and will get the demo. @3DSLUIGI Nope, Retro City Rampage is still coming. I just spoke to the developer recently and he confirmed this. Is there a demo up for LA MULANA? If I could, I would vote for getting the demo first (in the NL poll). Nice week for me! Interested in La Mulana, Rising Board 3D, and the 3DS demo. You're a dope you know that. No one said anything about Retro City Rampage you troll. Retro Pocket seems interesting to me. @divinealpha I agree the demo should have been a poll option since I want that. Why can't I see it on the eshop yet? @XCWarrior It will be in an hour from now. Retro pocket... I believe you mean LCD handhelds. I mostly understand that demo versions don't really count for the poll, but The Denpa Men should be an exception because I know people who were really wanting this forever! Nothing for me this week but than again I have my hands full with Borderlands atm. Everyone should get every demo anyway, even if they have been waiting for it or not. Its something free to play at least. @Bass_X0 I totally agree with you. It's a demo, why not try it out? I have a buddy with only 1 3DS retail game and a few downloads, yet he hasn't downloaded any demos yet. Mind boggling. @3DSLUIGI You said you thought La-Mulana would be the last game to hit WiiWare. I was just letting you know that at least one more was coming. Not trying to troll at all. Nice! Looks like Gearbox stepped it up with BL2, unfortunately all of my spare cash is going towards the Wii U launch. Sorry about that, but I thought I read somewhere not too long ago, I can't remember where exactly. But anyways, point overall, I thought I saw somewhere that Retro City Rampage was supposed to have been cancelled. I really want to get Marvel Pinball, but not until it is fixed. I heard the patch is out in Europe, I thought it might come today to NOA. When it comes I'll get it. Glad Zen is supporting their product. Nothing for me until I see about La-Mulana. Can't find the denpa men demo. I bet a lot of people will buy La-Mulana without understanding what kind of game it is, and end up disappointed. Or maybe I'm just underestimating how many people actually like old-school "hard as balls" games. ^ This is exactly what I was thinking. Not always good to follow the hype lol. What an odd name for Denpa men, they should have left the subtitle out, the game itself doesn't interest me though. I WANT ZELDA II AND WARIO LAND 2 GOSH DARN IT! But...yes, La Mulana should be lovely. Sooo the odd title interests you but not the game itself. Well maybe that's why they gave it! To attract some interest. I can't find the Denpa Men demo either. Anybody know what's going on? I think my Wii's WiFi is dead. @photofool83 Neither could I. Just search "Denpa" on the eShop. It pops up. Downloaded it just now. Don't worry guys, I sent an email to Nintendo about the disclusion of the Denpa Men demo. I'm sure they'll put it up. Never mind, they just put it up. @birthgirth Thanks. Downloading it now. Denpa Men demo for me. I'd get La Mulana as well, but no longer really use my Wii, and nothing else this week interests me. @photofool83 Hmmm, it appears theres still some kind of error going on. My download stops at 98% and errors. To an earlier commenter: La Mulana is not very much like Spelunky. La Mulana is not randomly generated and I think it is open world, not level based. Both however are 2d combat based platformers with an archaeological theme and a whip as primary weapon. Spelunky is awesome. I haven't played La Mulana yet but know enough to know what I've told you. Searched Denpa Men to find the demo, and after playing it, what an awesome game we're set to be getting next week. I really like what I've played so far, and can see myself investing a lot of time into the full version coming next week. Nothing again this week. It really isn't that hard with the back catalog of NES,Game Boy, and Game Gear games to release just 1 Virtual Console game a week. They did say "We're Denpa Men and we live around radio waves" in the demo, so the translation is there. Maybe it's just weird calling them Radiowave Men. @1takauchiha I live in the West Coast and I got it. There's a banner that just says "Demos" with the Denpa Men graphic and you can't miss it. (The 5th icon to the right of "News") Try again at a later time if you must. Ah, hell yeah for La-Mulana! Finally! I'm getting another points card tomorrow just for it. Ugh. Bad week this week, but not as bad as the other weeks thanks to La-mulana and the demo. But seriously, if the two game gear sonics are in the COMING SOON section, and have eshop ratings (meaning the files are uploaded to the eshop and playable), then why is it taking so long for it to come? I just want them as they are fun games to pass time, PLUS we are closer to the epic sword of Hajya game! Happy that there is a demo this week, as I'm out of money. But still, where are those games that were promised 2 (almost 3) months ago? Awesome, totally wasn't expecting a demo on a game that I'm n the fence about and will definitely help me make a decision. giant hint Nintendo! Hurray for La-Mulana too. Good week! EnjoyUp does what Ninten... err Nicalis don´t. Wooo. Buying La Mulana next week.